Red Grape tomatoes are bright to dark red in color with a firm, smooth skin, and a shape similar to that of an olive or grape. Like the cherry tomato, Red Grape tomatoes are small and flavorfully sweet, however they have a thicker skin that is crack resistant, handling packing and shipping better with a longer shelf life. As the name implies, these tomatoes grow in grape-like bunches of about twenty on indeterminate plants, which continue to grow, set fruit, and ripen until a frost arrives. Also known as vining types, they require staking or other support. They are extremely easy to grow, although harvesting may be labor intensive. Red Grape tomatoes are available year-round with a peak season during late summer. Tomatoes, originally named Solanum lycopersicum, are botanically referred to as Lycopersicon esculentum, although debate over the scientific name continues today. Though the quintessential tomato is round, natural mutation can result in other shapes, from pear to torpedo. Red Grape tomatoes distinguish themselves by their oval shape, a mutation that was first discovered in the early 1900s. Tomato breeders reported the segregation of oval tomatoes characterized by a constriction at the ends of the fruit. It was discovered that this mutation was due to a gene known as the "ovate" gene, however the origin of this spontaneous mutation is unknown. These naturally occurring mutations were essential to the evolution of berry-sized wild tomatoes into the 6,000 known varieties of tomatoes today. Grape tomatoes are a low calorie fruit that is high in fiber. Their sweet flavor is a result of the high sugar content, but is balanced by the nutrition and health benefits provided by vitamin C, potassium, lycopene, and antioxidants. Grape tomatoes, like other types of tomatoes, are good sources of important vitamins and minerals, and emerging science also suggests that tomatoes may be one of the best cancer-fighting foods. Red Grape tomatoes are first and foremost great for snacking on fresh, and they are quintessential for use in salads and fresh salsas. They can be used in nearly any recipe that calls for cherry tomatoes, or tomatoes in general. Mature fruits can be processed and cooked to make ketchup, compotes and jams. They can also be blanched, pureed, and made into soups, sauces and sorbets. Pair Red Grape tomatoes with other ingredients that are fresh and in season. Store Red Grape tomatoes at room temperature for approximately two to three days, or until ripe, after which refrigeration can slow the process of decay and prevent further ripening. 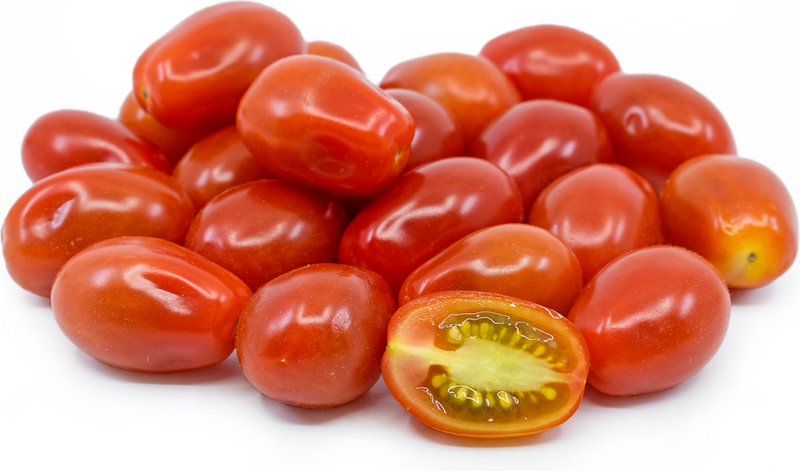 The word “tomato” is derived from the Aztec word xitomatl, meaning “plump thing with a navel.” When the tomato made its way to Europe, the name was shortened to tomatl. The French originally called the tomato “pomme d’amour,” meaning “love apple,” before simply calling it la tomate, perhaps changing the name after the fruit failed to have any effect as an aphrodisiac. Grape tomatoes are a hybrid from Taiwan. They were first grown in North America in Manatee County, Florida in 1996. 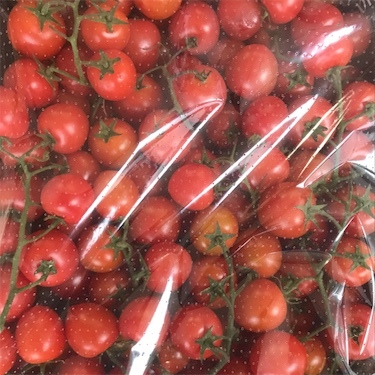 A farmer named Andrew Chu imported “Santa F1” tomato seeds from Known-You Seed Company in Taiwan and turned them into a commercially significant tomato crop that he dubbed “Grape tomatoes” in order to distinguish the variety from cherry tomatoes. By 2001, Grape tomatoes were outselling cherry tomatoes 10 to 1 where available in America. Recognizing the value of exclusivity, Chu filed for a trademark on his invention, "Grape tomatoes,” and received a U.S. trademark in March 2000. 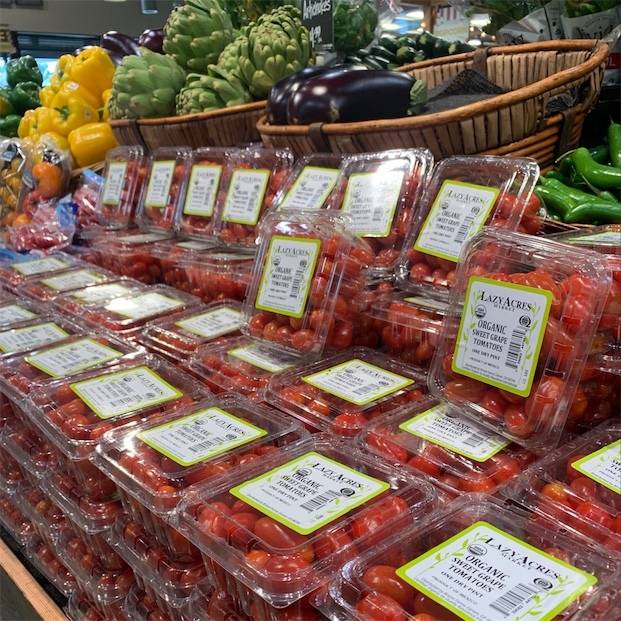 However, Procacci Brothers Sales Corp. challenged Chu’s trademark rights in federal court, arguing that the registration should be cancelled because “Grape tomatoes” was merely a descriptive term. Chu walked away from the fight, abandoning his trademark and leaving the rest of the world free to use the term.  Recipes that include Red Grape Cherry Tomatoes. One is easiest, three is harder. Someone shared Red Grape Cherry Tomatoes using the Specialty Produce app for iPhone and Android. Sharer's comments : Lazy Acres Grape tomatoes are fresh!